Button’s up everyone because today, it’s all about BUTTONS… I have been playing around with buttons for my handmade cards. Then I started to think, what else can I do with buttons? Something popped into my mind! Hmmm…. 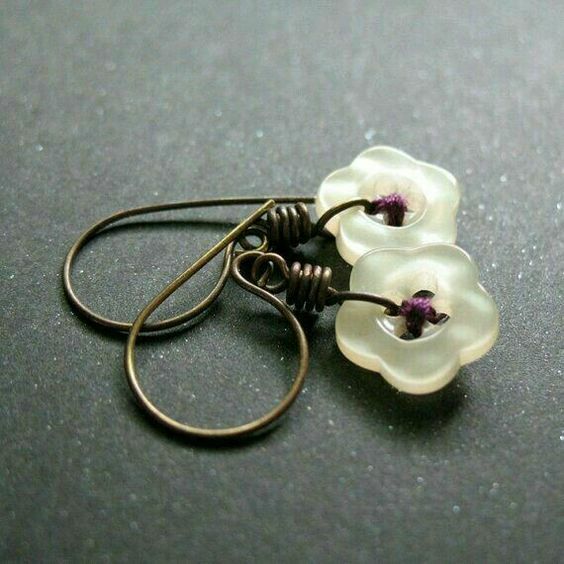 why not make earrings with these buttons? Soon it will be Christmas and I’ll be buying gifts and button jewelry making would be the easiest gift idea. Buttons are easy to purchase. They are available at any sewing or craft supplies shops. Buttons are inexpensive and available at a variety of designs and colors. 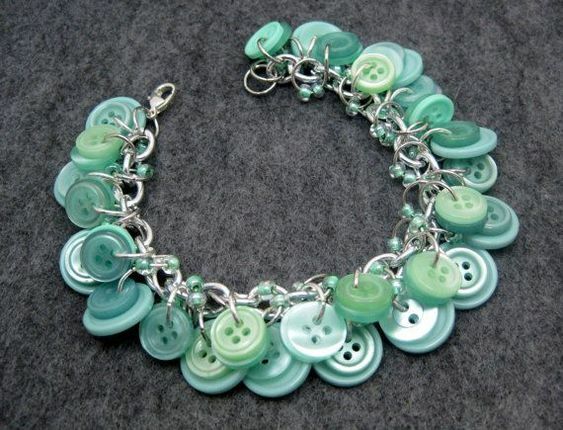 If you want to make a button jewelry, you can even use buttons found from old clothes that you don’t wear anymore. Why not make use of them? No need to buy buttons which is great if you’re going to make button jewelry for lots of friends and relatives. Here are some awesome button jewelry making ideas that will inspire you to make button jewelry! Now, time to make your own button jewelry. Here’s a variety of buttons you can try!